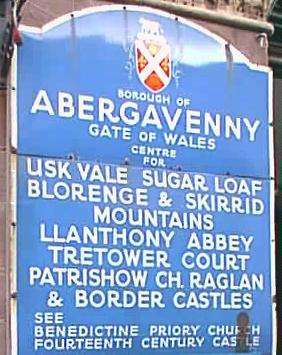 Sometimes described as the "Gateway to Wales", Abergavenny is on the south-eastern fringes of the Brecon Beacons, close to the Black Mountains. 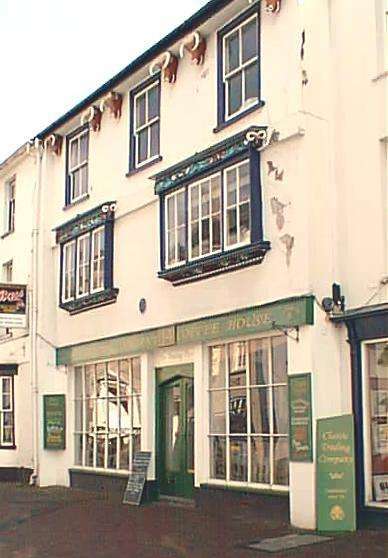 The town has a long history, as many of its buildings testify. Town Hall in the distance. 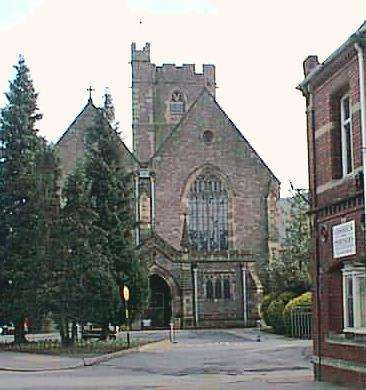 The parish church of St Mary (above left), originally the church of a Benedictine Priory, founded at the end of the 11th century. 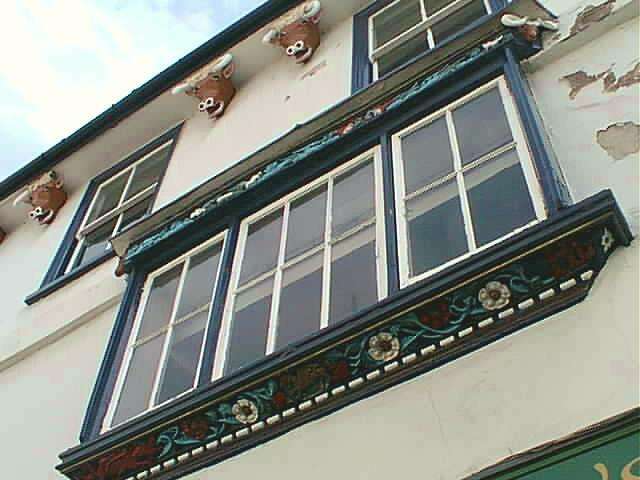 The 400-year-old house of the Vaughan family (above right) became the Cow Inn in the 18th century, hence the decorations under the eaves (see below). Today , the premises are used as a Coffee House. The town memorial (above left) to those lost in the Great War of 1914-1918. 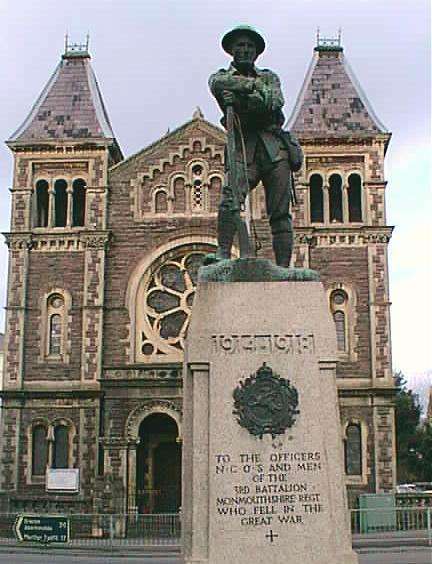 Behind the memorial is Abergavenny Baptist Church. 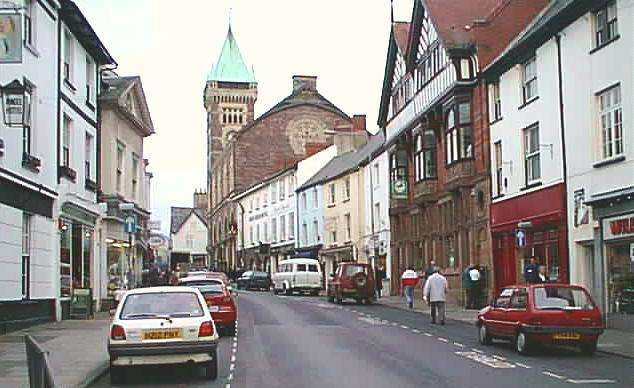 A distant view of Abergavenny Castle (above right). 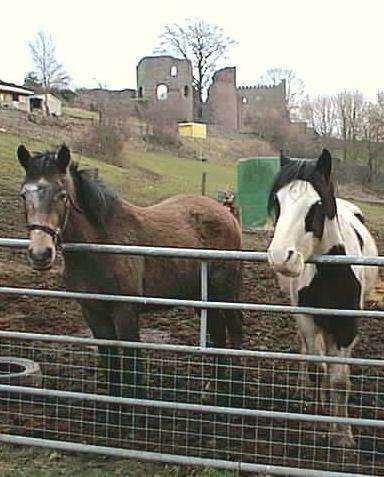 In AD 1177 the castle witnessed the massacre of many Welsh chieftains, invited there by William de Braose under the pretext of celebrating Christmas. The friends of the slaughtered chieftains retaliated by burning the castle to the ground and carrying off the governor, his wife, and all the garrison as prisoners. 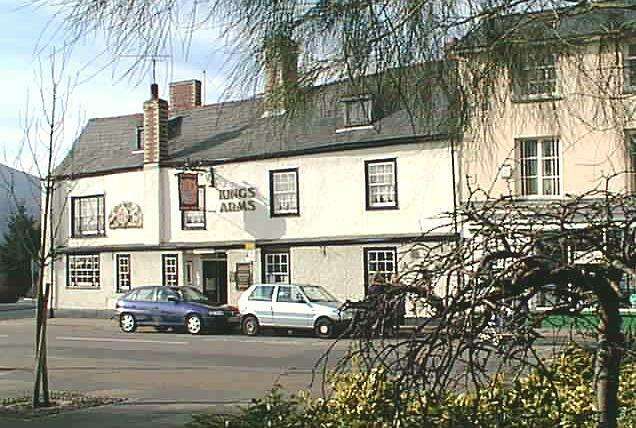 Above: The King's Arms Inn in the old Market Place.